Pixi By Petra Natural Contour Powder is Indeed Very Natural! Do you want a contour powder that is very subtle yet noticeable in a very natural way? I've found one! The Pix by Petra Natural Contour Powder is indeed very effective as a contour shade regardless of skin tone. For just one shade, this product can actually work! All you need to do is know the "right" amount to apply depending on your skin tone and you'll be sculpted in no time! My take of a very natural contour. Packaged in Pixi by Petra shade and a plastic, I find the packaging nothing spectacular! Truth be told, I find it too simple! You can't blame me though as most cosmetics companies nowadays are coming up with really cute make up packaging! The Natural Contour Powder is meant to shape and shadow your facial features and this product is good for 1 full year upon open. As always, I recommend you to put a sticker with month and year on when you open this to make sure you keep track on all your makeup expiration dates! Get a super-natural shaded effect with this luxe contouring powder. Easy-to-use formula enhances your natural features, creating definition when swept into the hollows of the cheeks, under the jawline, down the sides of the nose and in the crease of the eye. The formula is packed with peptides, a multi-vitamin complex, plus aloe vera, super fruit and coffee extracts to further enhance & nourish the complexion. Simplicity aside of the product packaging aside, the product itself is BIG BAM WOH! The color is a perfect cool tone medium brown shade that has no orange tint to it. There is NONE of that "bronzer" feel so this is a perfect shade to "mimic" the shades of your face. This shade would work for fair to darker complexion! All you need to do is to adjust the amount of product to be applied on your skin. I know this powder is multi-functional and can be used all over the face! But for this particular product, I find this is the perfect "contour shade" for my cheekbones! How? By picking my favorite small blush brush (from Crown brush), sweep the powder underneath the hollow of the cheekbones and blend it well. Since I have pretty fair skin, just a few swipe is enough for the color to pop! If you have darker complexion, feel free to add another layer until the "shade" appears! Practice makes perfect and once you get the hang of it, you'll know the best amount of product needed for your complexion. So you get the most natural looking contour! Overall, I am very happy with the smooth, silky texture of Pixi By Petra Natural Contour Powder and I appreciate the fact that it stays for the whole day if set properly. The product is available locally at Glamourbox priced at Php995.00. 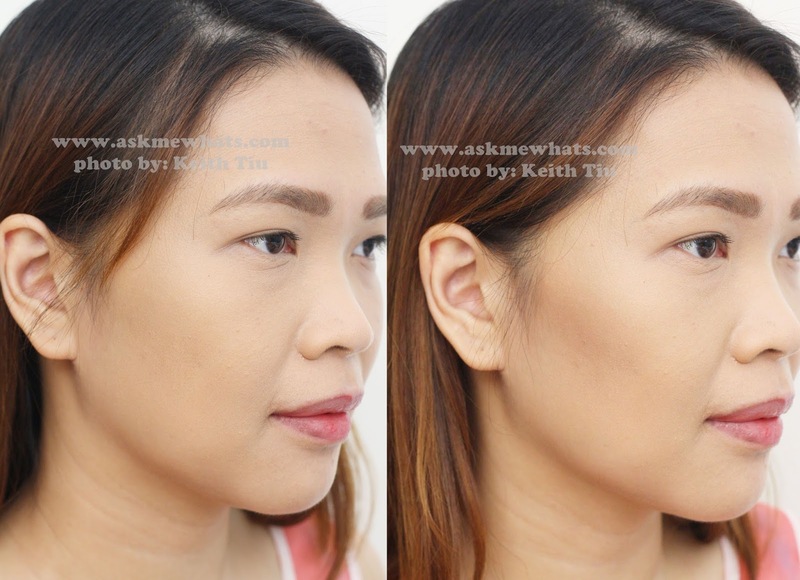 How do you like the effect of Pixi By Petra Contour Powder on me? What is your most natural contour powder brand to date? I dunno if it is just me but It look a bit pinkish? Hindi naman baka yung damit ko ? nag reflect?